emontoya57 was awarded the Basic Barnstar by liz for their work in this research note. A DIY low cost high performance Raman spectrometer. After about two years of trials finally succeded. 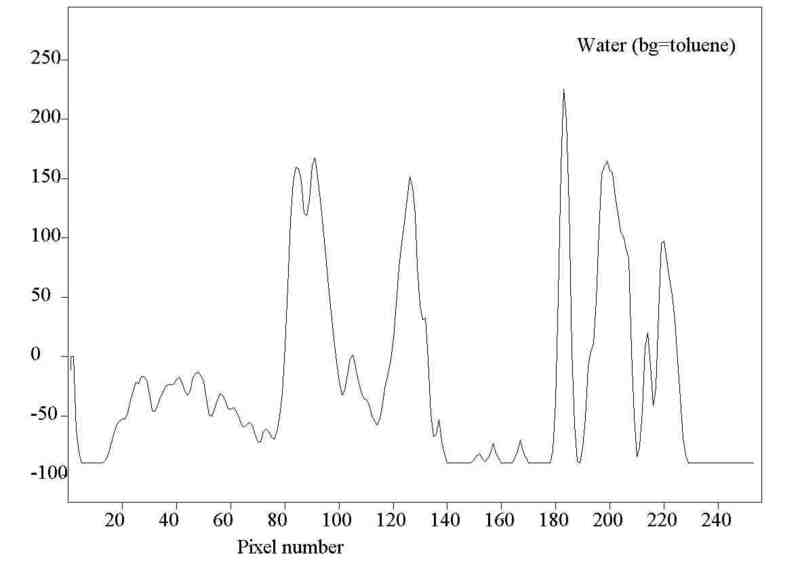 A detailed paper entitled: "A Homemade Cost Effective Raman Spectrometer with High Performance" has been just published in the open access "Journal of Laboratory Chemical Education", available at: http://www.sapub.org/Journal/articles.aspx?journalid=1139. I hope it has useful information for some of you. After the trials, a device can be made in short time. The picture shows an example of the obtained Raman spectrum for benzene and an internal view of the device. Please do not hesitate in contact to me for further discussions. It could be a long story. In brief, when student (very long time ago) i was very frustrated because the laboratory had an old fashioned Beckman DB spectrometer in bad condition and for wished to make my own spectrometer. my first one (using a piece od DVD, a webcam a cheap fiber optic patch cord and slit made with pieces of razor blade) worked good by 2009. Few years later I found this nice Group and tried few small contributions. As a chemist I am very intersted in optical spectroscopy and particularly in what I call "Alternative Scientific Instrumentation" which denotes high performance instrumentation made at low cost because it relies on the use of components of high technology with a worldwide availability and massive consumer market. Wow, very exciting. I see the build cost was $3000, but much of that is the nice camera and lens; the long-pass Raman edge filter, though, costs $425 -- where did you source that, and are any cheaper alternatives available? And are the laser clean filters strictly necessary? Hi Warren, I am really trying to make the device sa cheap as possible. I my first trials Ia used a REBEL T3 with its default lens (about US$ 400 in total) but a long time of exposure is required (about 300 s) and the spectra are not so nice. Also in first trials a piece of DVD (just the metallized side, washed with alcohol to eleiminate the ftalocianine painting) was used and it works but the alignment is really a headache. Filters were bought at Edmund Optics and a cheap OD4 edge filter centered at 550 nm works fine but only from about 600 (1/cm). About the cheap green laser it has several (non wanted) secondary lines which dirt the Raman spectra and these lines are so intense that are still present after one cleaning filter. Please do not hesitate in contact me for any further explanation / clarification / discussion, etc. Thanks! the cleaning filters, then, are very narrow-pass filters to ensure the green input laser is only the 532nm light? And is Raman mostly/always/often done with a green laser? I'm not that familiar with it, but how do the fluorescence spectra and the raman scattering interact or are separated? Is it ideal to minimize fluorescence? For example, is there a Raman method with a 405nm laser? Just curious. Thanks! Yes Warren, and the cheap ones (OD 4) have a FWHM of aobut 3 nm, centered at the laser line. Fluorescence is always unwanted and Raman signals are proportional to inverse of lambda at fourth power. Thus a violet (405 nm) laser will produce considerably kor intense Raman lines but unfortunately a terrible lot amount of fluorescence, on the other hand, a near IR laser (1064 nm) will (almost) no pruce fluorescence but relatively low intensity Raman signals. What happnes is that a normal camera is prepared for green light. In general, Raman signals are very narrow sharp pekas and fluorescence signals are, in general, quite wide bands. There are several ways of overcome fluorescence, for example take the first derivative of the spectrum (at a cost of increasing the relative importance of noise) or time gated signal acquisition (Raman signals are almost instantaneouos while fluorescence signals are emited a few nano seconds after), I believe that this method is expensive. Another trick is what people calls SERDS, I will try to explain it in another mail. neat. a new role for green lasers? I am going to attempt a Raman spectrometer. As I am in the design stages I was wondering why you chose "transmission" I am tempted to monitor at right angles so as to only get the scattered light. I've also seen one that monitor back scatter, but then you need mirrors. I would like to know your views on the geometry. Dear David, At the begining we also tried the right angle geometry but we only got spectra of very weak intensity, even after five or ten minutes exposure and we learned that in those long exposures the CMOS array detector chip of the camera warms up and the noise was really annoying. Then we tried to cool the chip putting a Peltier setup as near as possible of the chip (in the external side of the camera) and the noise diminished something but then we had got water inside the camera (air humidity condensation) and we almost lost the camera. Then we said Ok, lets try transmission mode (and forget about opaque solid samples) and tried to block the direct laser light from the pointer with a very small (about 2 mm diameter) plane mirror but again the recorded spectra was of pretty low intensity. Then we tried the otherway, replacing the blocking mirror with an about 2 mm aperture (diafragm). Then we had the hypothesis of that along the light line there are many light dispersing points and we were collecting just the photons (Laser, Raman, fluorescence,...) that travel along that direction. As it is shown in the figures of the paper, the recorde spectra have a nice good intensity with relatively short exposures. Of course, we are pointing directly the expensive OD 6 Raman edge filter and probaly it will not survive a long time and also an appreciably part of the laser light reaches the camera and causes a nasty background edge in the zone of low Raman shifts. We believe (we have not yet time to try it) that the results could be better by increasing a lot the optical light path of the laser inside the sample. I hope that the information would be useful. Please not hesitate in take contact for further discussions. Thanks for the detailed explanation. I've seen that back scatter is a popular cofiguration what do you think? you are getting the same axis as transmission yet you are not getting direct illumination. I had a thought about trying multipass - having the laser bounce through the sample several times - would that help. I found some long pass filters made by Schott that are not too expensive I hope they are up to the task. Dear David, I believe that in principle the back-scattering configuration should work fine, maybe except because it implies the lose of half of the laser light and also a half of the generated signal. Thus only 25% of the potentially attainable signal is kept and perhaps the normal consumer grade digital still photo cameras are not sensitive enough (an ISO sensitivity of 25600 is not really high for spectroscopy purposes). I would say just try it. I finally got round to making the Raman spectrometer. I first tried at right angles and as you found I got nothing. So I went for the transmission and here is a very poor spectrum I got of water (bend at about 130 pixels and stretches at 90 pixels) the peaks at around 200 are breakthrough from the laser. I seem to be getting quite a lot of light from the laser that is not at its laser frequency and I only have a long pass filter. So the logical thing to try is the back-scattering cofiguration which should reduce this. Once again thanks for the help until I saw your paper I had not thought it was possible with such a simple setup. Note water probably works well in this case as I have got poor resolution as I'm using a 256 element linear array (I need to up this). I know I am a bit late to the party but, I was wondering if the fibre optic cable is necessary for the setup? I am working on my own Raman Spectrometer based on this design. Time for me to start dusting off Raman stuff. Almost done my 3d printed design. So far alignment has been hard but making progress. Waiting for a few 532nm band pass filters to clean up my laser. Then it's off to make a cooling box of my dslr. I am interested in your research, but the links to your papers are not bringing anything up. I've tried searcing my resources, and am coming up empty. Do you have another link to your research? I'm trying to build an inexpensive spectrometer for use in environmental monitoring.